Invoice history based on 328 reviews. 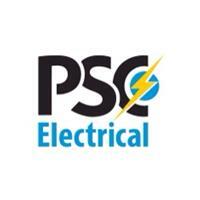 PSC Electrical is a reputable and reliable family run business. We are based in Croydon, South East London and operate in its surrounding areas. Our company ethos is that our customers needs are of the utmost importance. Our entire team is committed to meeting those needs. Every job is completed to the highest standard, ensuring that it is delivered on time, within budget and with safety being a top priority. As a result, a high percentage of our work is from repeat customers and referrals. Our team of fully qualified electricians have a wealth of expertise and experience in the industry. This wide range of knowledge means that they are able to deal with anything from a new socket outlet to full rewires for houses, shops, factories and more. Even installing CCTV, fire alarms and door entry systems is possible. Most importantly, all of our team of electricians are approachable, trustworthy and efficient. We pride the business on reliability and quality of workmanship which we feel is paramount in protecting and growing our reputation.